1.Why does it not work on my DVR? There are 5 types of recorder in the market now. 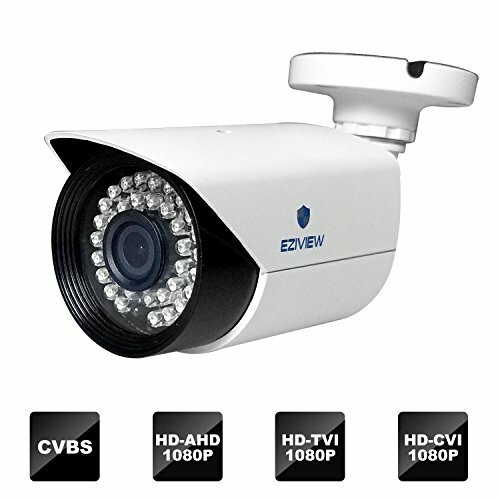 TVI DVR ( Turbo DVR, which is mostly manufacture by HIKVISION), CVI DVR ( Which is mostly manufacture by Dahua), AHD DVR, Analog DVR ( Which is the earliest recorder, D1/ 960H), NVR ( Only works on IP cameras, not support with this camera ). So you need to know which type of the DVR you used. Then switch the cameras signal mode accordingly. If your DVR is AHD type, but the cameras signal you switch to TVI, it will not work. 2.I have one of the dome cameras that would not do 1080P, but 960*480. Why? If you choose CVBS/960H signal, the resolution will be 960*480. The resolution depends on the DVR that you use. Only 960H Analog(CVBS) signal could be plug direct to a TV or Monitor, but the problem is that, this is a regular analog signal, not high definition. For 1080P TVI/AHD/CVI High Definition signal, it is using a special HD analog technology, it requires the display equipment has a corresponding decoding chipset, at this moment, only stand alone TVI CVI AHD DVR has this function. So it means it doesn't support to display high definition video by plug directly to a TV or monitor by plugging directly to a TV or monitor. If you have any questions about this product by Eziview, contact us by completing and submitting the form below. If you are looking for a specif part number, please include it with your message.